Women want to lead. Their companies want that, too. Companies with more women in leadership have been shown to do better, and women who take the lead in their careers reach new levels of personal and professional success. 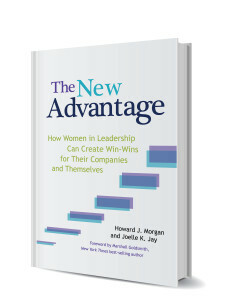 The good news is women are in the position to empower themselves to advance as leaders. We’ll show you how. When we interview leaders at the top of their organizations, especially women, the most frequent comment we hear is, “I feel so alone.” You don’t have to be. You will feel stronger and more connected as a leader when you know how other leaders just like you navigate the complex, ever-changing business world and successfully integrate their work and life. Most leaders don’t have access to that kind of connection. You do. Join us for the eCourse and take advantage of the opportunity to learn from other leaders. Ready to learn more? Join us via audio and video for live and recorded coaching sessions, leadership lessons, strategies and solutions. You’ll discover how balanced leadership leads to better business.